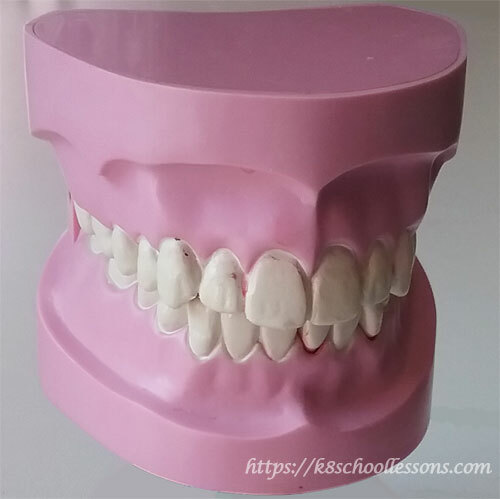 This lesson teaches you all what you should know about your teeth, such as the types of teeth, number of teeth, functions of teeth and the human tooth structure for kids. Unlike some of your body’s organs, such as brain, heart and lungs, your teeth were not prepared to function from the day you were born. Although, the teeth develop before a baby is born, they are not visible even after the birth, until a baby is about 6 to 12 months old. Then the first tooth breaks through, and gradually more teeth begin to appear later. You will naturally, get two sets of teeth in your life. In each set of teeth there are four main types of teeth. 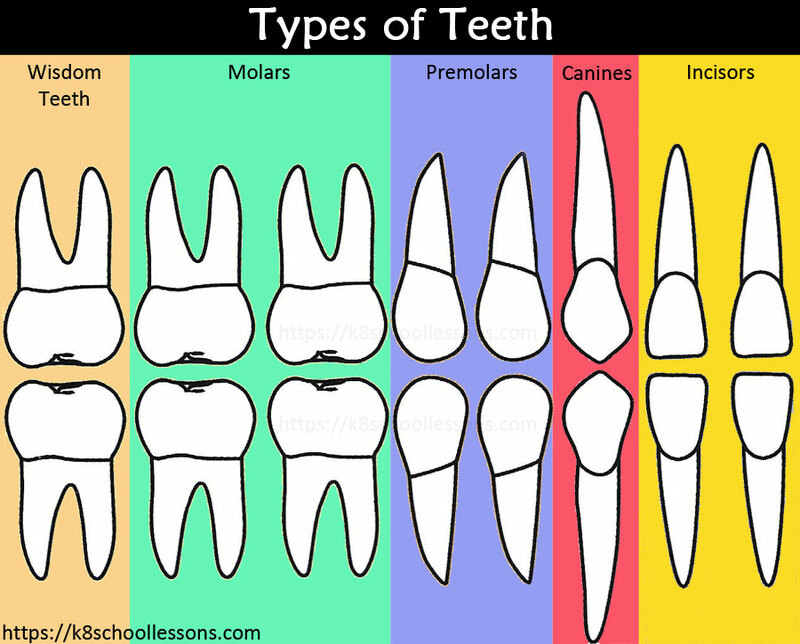 These tooth types are; incisors, canines, premolars and molars. Most kids have their first set of teeth by the time they are 3 years old. These are called primary teeth, and also known as baby teeth, first teeth, deciduous teeth, milk teeth or temporary teeth. There are 20 primary teeth in all. At between six and ten months of age, most infants begin to sprout their primary teeth. But this varies depending on the child’s development. 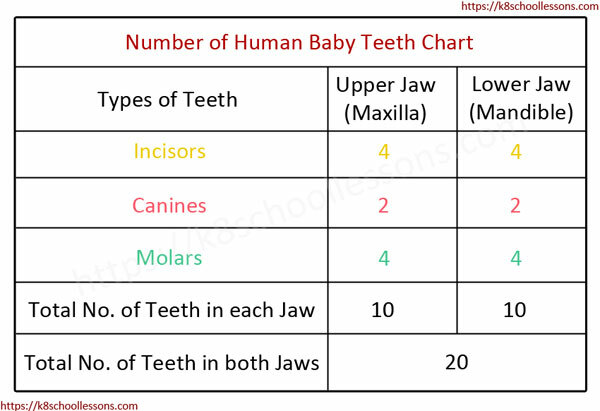 If the baby is an early developer, it may sprout the first tooth as early as 3 months. If the baby is a late bloomer, it may take a year or so to sprout the first tooth. By the time a child has reached three years old, most of the primary teeth should be present. When the child gets to age 5 or 6, primary teeth start falling out, one by one. 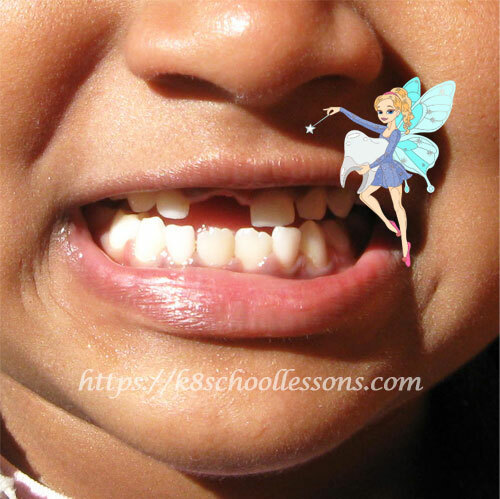 So now, the Tooth Fairy time begins. When the child gets to age 5 or 6, primary teeth start falling out, one by one. Primary teeth hold the place for permanent teeth and help guide them into correct position. Primary teeth play an important role in the development of speech and chewing. 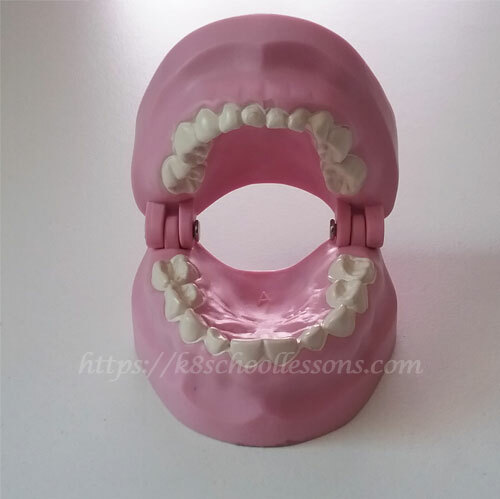 The lower central incisors (lower front middle teeth) usually come in first, and then teeth begin appearing on either side and work their way back to the second molars. The process begins to repeat itself when the child is about five to six years old. 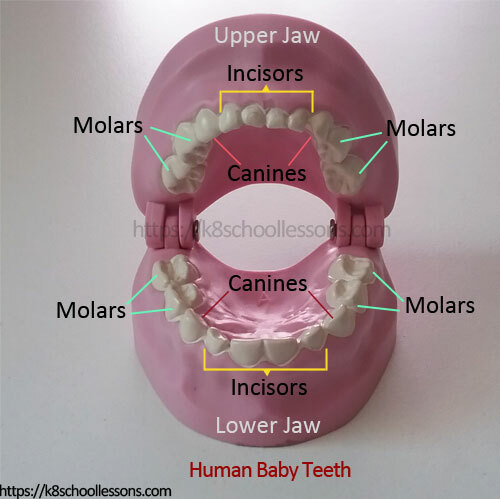 Not only the set of primary teeth, but also the set of permanent teeth develop even before a child is born. Inside the gums, the set of permanent teeth is layered underneath the set of primary teeth on both upper and lower jaws. When the right time comes, a primary tooth falls out because it is being pushed out of the way by the permanent tooth that is behind it. Slowly, the permanent teeth grow in and take the place of the primary teeth. 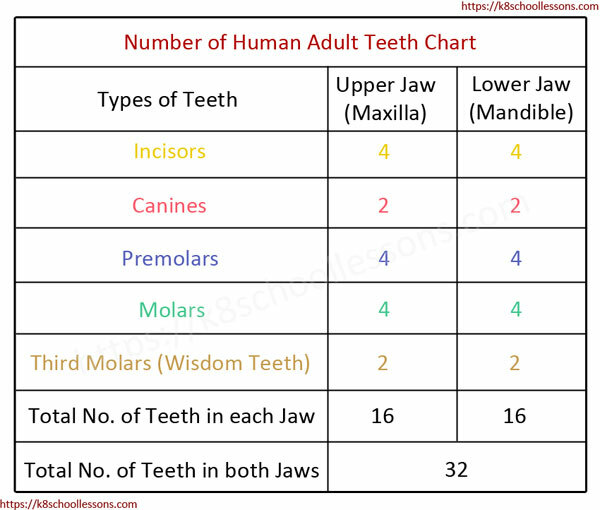 There are 28 permanent teeth in all. This is eight more than the original set of baby teeth. 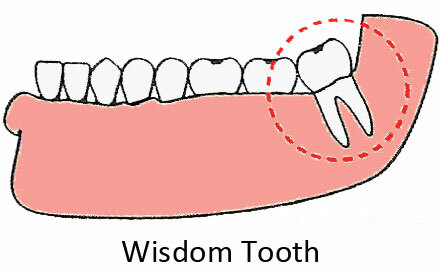 Between the ages of 17 and 21, four more teeth called wisdom teeth usually grow in at the back of the mouth. They complete the adult set of 32 teeth. The central incisors fall out first and are replaced by permanent teeth. At the age of 6, the first permanent molar comes out behind the baby teeth. And at the age of about 12, the second permanent molar comes out as well. Both teeth do not require the fall out of baby teeth. By about age 12 or 13, most kids have lost all of their baby teeth and have a full set of permanent teeth. As we learned above, there are four main types of teeth. 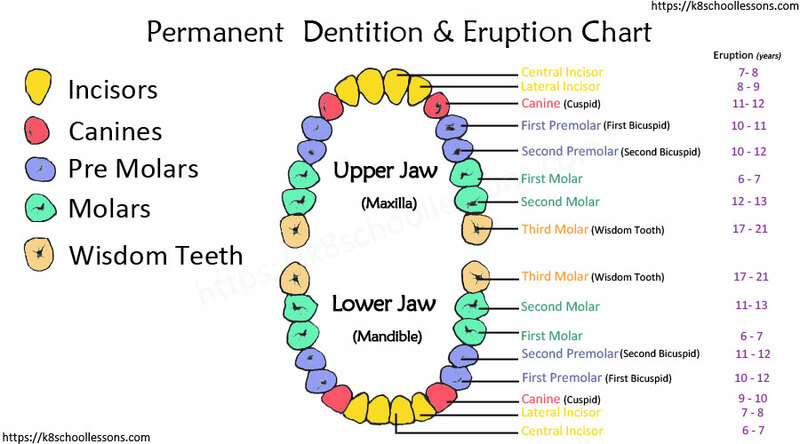 What are the functions of teeth? The pointy teeth beside your incisors are the canines. The canines have very long roots as they are meant for grasping and tearing food. 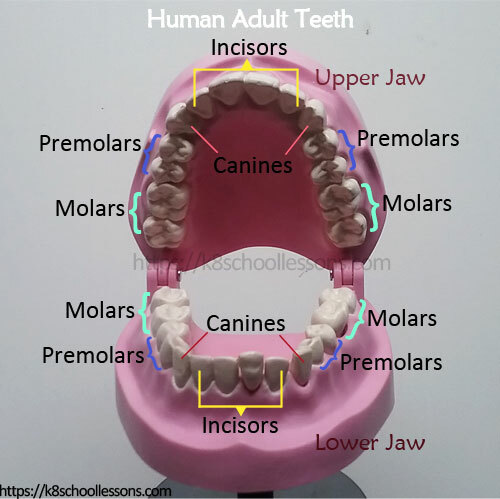 You can see the premolars just behind the canine teeth, but in front of the molars. 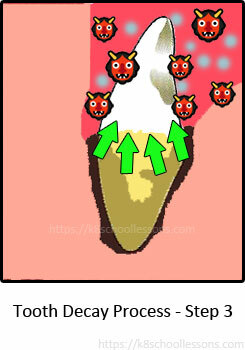 Locating in front of the molars is the reason for these teeth to be called as premolars. 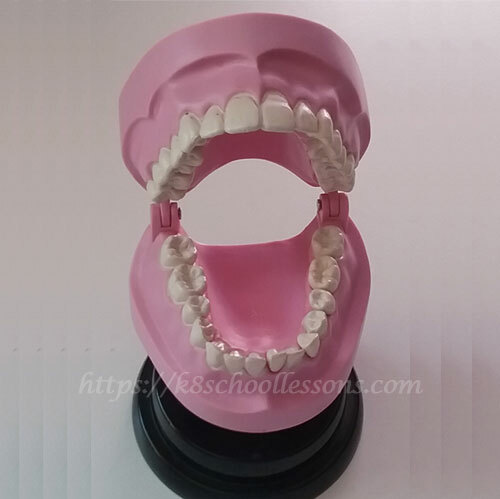 These are also called bicuspid teeth. The last teeth towards the back of your mouth are the molars. You have to open your mouth really wide, if you want to see them. According to the time they come in, molars are sometimes called 6-year molars and 12-year molars. Molars are the toughest of all types of teeth. Function of the molars: Crushing and grinding food, Working closely with the tongue to help you swallow food. The last teeth a person gets are the wisdom teeth. These are also known as third molars. They are all the way at the back of the mouth, one in each corner. Wisdom teeth usually appear between the ages of 17 and 25. Most adults have four wisdom teeth. However, some people have more than four wisdom teeth. We call these extra wisdom teeth, supernumerary teeth. Sometimes, wisdom teeth can affect other teeth as they develop, becoming impacted or coming in sideways. In such case, they are often extracted. It’s believed that they’re called wisdom teeth because they come in later in life, when a young person is older and wiser. A tooth is basically made up of three parts. he crown is the part which you can see when you smile or open your mouth. This is located above the gumline. This is the part of the tooth which you cannot see. It is located below the gumline and makes up about 2/3 of the tooth’s total length. 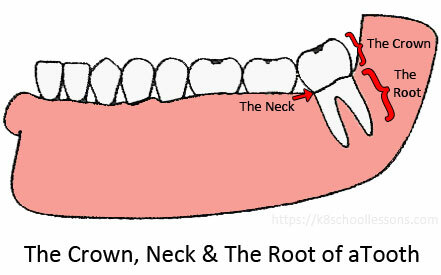 The neck of a tooth is the part between the crown and the root. If someone ask you, ‘what is the hardest thing in your body’, what would be your answer? Believe it or not, it is a type of tissue that covers each of your teeth. We call this the enamel. Enamel is the white covering of the tooth. 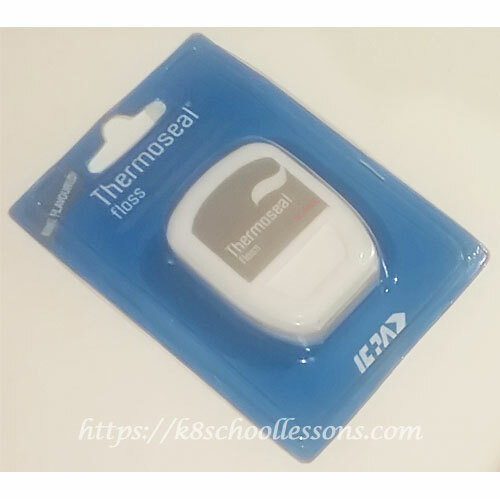 It is a very tough and durable substance containing mineral salts, like calcium. It acts as a tooth’s personal bodyguard and protects the tooth from everyday wear and tear of chewing. Enamel also protects the inside parts of the tooth, working as a barrier. Dentine is a yellow bone-like material. It is softer than the enamel, but also very hard. Dentine consists of tubules (small tubes) with fluid inside, which help to transmit senses to the nerve. Dentine supports the enamel of the teeth and protects the innermost part of the tooth, called the pulp. Pulp is a soft tissue which is in the centre of the tooth. 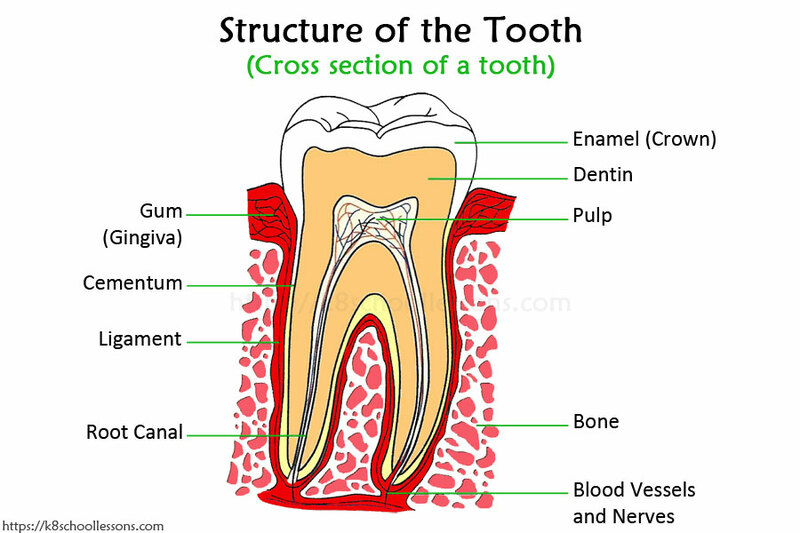 It consists of the tooth’s nerve endings and blood vessels. So, pulp helps to transmit signals to your brain and give nourishment to keep the tooth alive and healthy. How do you know that your teeth have nerves? Have you ever felt a pain in any of your teeth when having hot soup, or a cool ice-cream? Cementum covers most of the root of the tooth which is fixed to the jawbone. It helps to attach the tooth to the bones in your jaw. 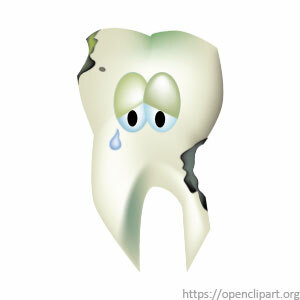 Between the cementum and the jawbone there is a cushioning layer to help connect them and acts as a cushion to absorb pressure. This is called the Periodontal Ligament. 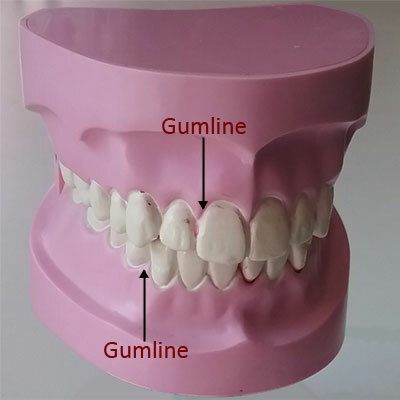 Gumline connects the tooth with the gum. Your gumline needs to have a great care as it collects plaque and tartar quickly if you do not brush or floss your teeth properly. This may cause gum disease. Plaque is a soft and sticky film that builds up on your teeth and contains millions of bacteria. It is formed on your teeth if they are not removed regularly through brushing and flossing. The bacteria in plaque cause tooth decay, gum disease and cavities in teeth. Your mouth is a perfect breeding ground for bacteria. Usually, bacteria exist in your mouth. Tiny colonies of living organisms are constantly on the move on your teeth, gums, lips and tongue. This is completely normal as long as the bacteria are harmless. There are even helpful bacteria in your mouth. 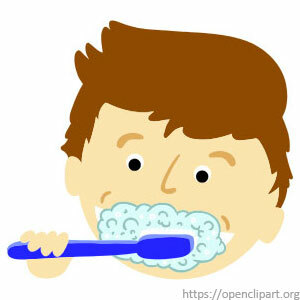 However, without proper caring of your teeth these bacteria will turn out to be harmful. Bacteria can attach to the enamel of your teeth. If they are not removed regularly, they multiply and grow in number and form a colony. 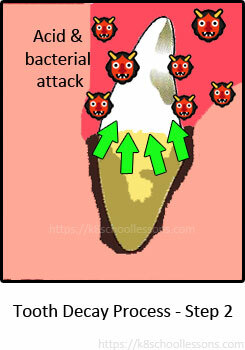 More and more bacteria can attach to the colony already growing on the enamel. Proteins in your saliva (or spit) also mix in, making the colony of bacteria a whitish film on the tooth. This film is what we call plaque. 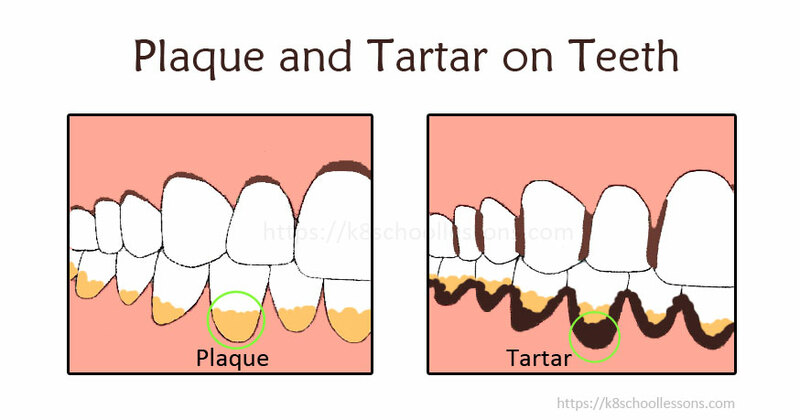 Tartar is hardened plaque which has got collected on your teeth due to poor oral hygiene. Unlike plaque, tartar is easily visible. It is hard to remove tartar by brushing or flossing, so that you may need to see your dentist if you want to remove tartar. Tooth decay is one of the most common diseases in the world. However, it is non-contagious. Following are three simple steps to understand how tooth decay occurs. Step 1: Bacteria in your mouth produce acid from food accumulated as plaque on tooth surface. Step 2: This acid demineralises and weakens tooth surface. Step 3: In about 30 to 45 minutes, acid will be neutralized by saliva. Minerals in saliva will be absorbed into the tooth to remineralize it. Demineralisation is the loss of important calcium in your teeth. Sugar plays a harmful role in tooth decay. The bacteria in plaque use sugar as a form of energy. They multiply faster and the plaque grows in size and thickness. 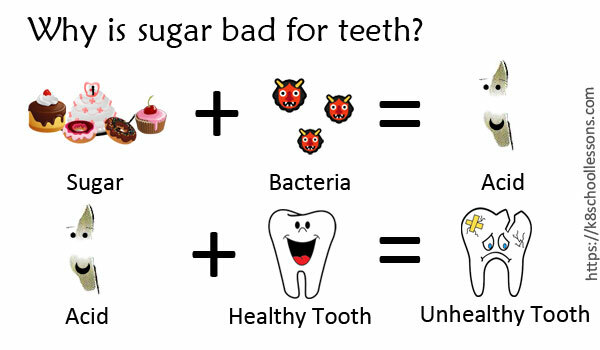 Some of the bacteria turn the sugar into a kind of glue in order to stick themselves to the tooth surface, making it harder for the bacteria to get washed away with your saliva. 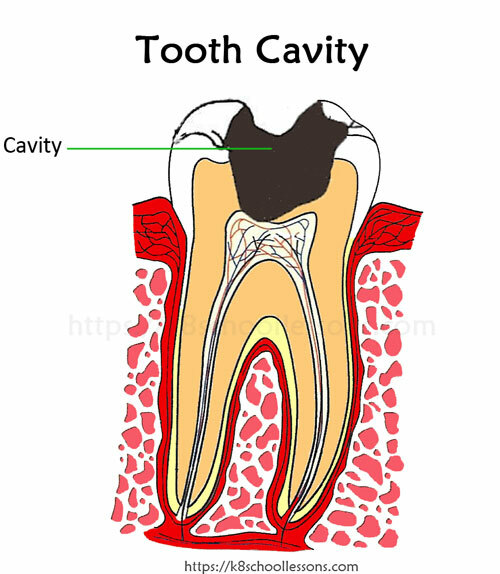 How is a tooth cavity formed? Plaque produces acid as it eats up sugar. This acid cannot be easily washed away by your saliva. Mineral salts, like calcium in the enamel can easily be attacked and broken down by acids. In fact, this acid dissolves the minerals that make your tooth enamel hard. The surface of the enamel becomes porous, which means tiny holes appear. After a while, the acid causes the tiny holes in the enamel to get bigger until one large hole appears. This is a cavity. Nerve fibres, which sends signals about the pain through the body, don’t exist in the tooth enamel. This is why, while the acid is attacking the enamel, you cannot feel a thing. 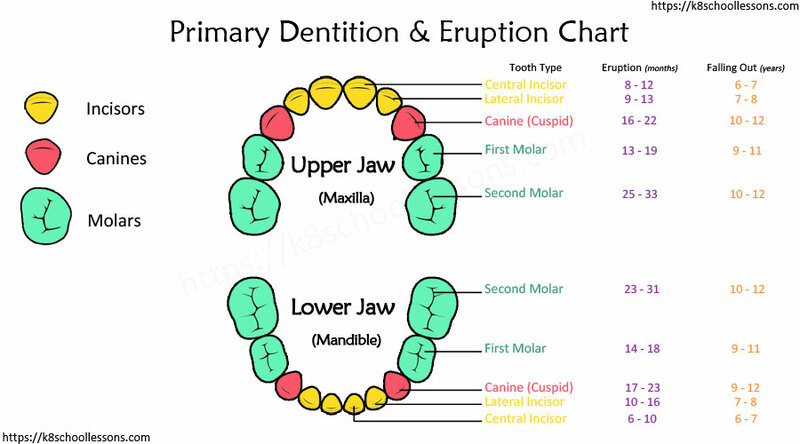 The dentine is under the enamel. Once the acid eats into the dentine through the cavity, the nerve fibres begin to send out a message that something is going wrong. This message is about the pain which has occurred due to tooth decay. Fluoride is a natural element which helps prevent tooth decay. It works with saliva to protect tooth enamel from plaque and sugars. People who naturally have more fluoride in their drinking water have fewer cavities. Some communities put more fluoride in their water supplies to protect people against tooth decay. Fluoride mixes with tooth enamel when teeth are growing. But it can help prevent tooth decay even after your teeth are formed. If your drinking water does not contain enough fluoride in it, you can have enough fluoride by using toothpaste containing fluoride, a mouthwash that has fluoride in it or having supplements like vitamins containing fluoride. If you don’t brush or floss your teeth properly, it may lead to halitosis, which means an offensive breath. Halitosis is generally known as bad breath. Food and drinks that we have – Food particles left in your mouth can rot and collect bacteria, starting to be smelly. Poor oral hygiene – If you don’t brush or floss your teeth regularly, a sticky, colourless film, called plaque builds up on your teeth. Plaque is an ideal place for bacteria to live and grow, leading to bad breath. Smoking and chewing smokeless tobacco – Smoking and chewing smokeless tobacco are the major causes of oral cancer. About one-fifth of the content of smokeless tobacco is sugar, and this causes a much greater risk of developing cavities. Smoking and chewing smokeless tobacco facilitate plaque and tartar accumulation. Also, remember to brush your tongue well, because bacteria can grow there too. Not only brushing, but also flossing once a day, helps to remove food debris in between your teeth and prevent plaque buildups. 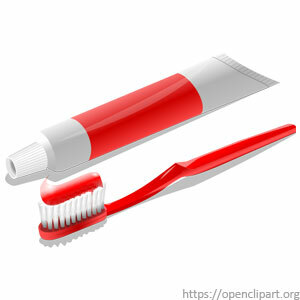 Always keep a separate toothbrush for you and make sure to clean it well after each brushing session. 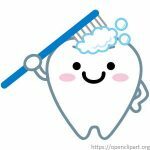 Visit your dentist twice a year for regular checkups and cleanings is also, not a bad idea in order to know about your dental health. It is better if you can rinse your mouth after every meal. Rinsing your mouth after eating or drinking something sweet is so much the better as sugar particles in your mouth accelerate the process of decaying your teeth. 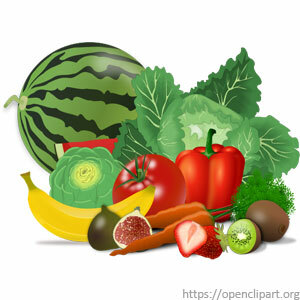 If you are a fan of fairly hard food like, corn, apples, celery, nuts, coconuts, carrots etc., by eating such food you give enough exercise for your teeth. Eat fairly hard food like, corn, apples, celery, nuts, coconuts, carrots etc. Through a healthy balanced diet with calcium containing food like milk, fish, meat, fruit, you can keep your teeth strong and healthy. Other than using toothpicks, picking your teeth with sharp things such as pins or needles, is a very bad habit. Eating and drinking too much sweets is bad in every respect. Using your teeth to open things like bottle lids, is also not advisable. Using another person’s toothbrush to brush your teeth is not alright at all. Putting dirty things or fingers in your mouth is not just bad for your teeth, but also for your entire body’s health. 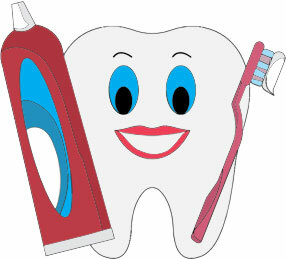 So, keep up with all the do’s of taking care of your teeth for a strong and healthy set of teeth and odour free breath! Cleaning your teeth with dental floss is called flossing. 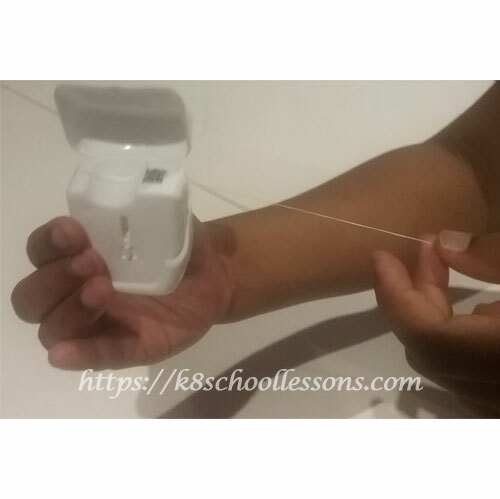 Dental floss is a piece of waxy string made of nylon that comes on a spool. 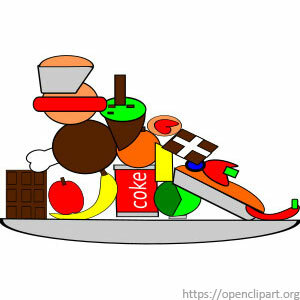 Following is a list of food bad for the your teeth. 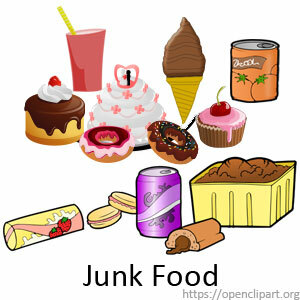 These are only a few types of food which is bad for your teeth, if you eat too much of them without proper caring. Eating food containing calcium is very good to keep your teeth healthy. Dairy products are good source of calcium and an essential nutrient for the development of bones and teeth. 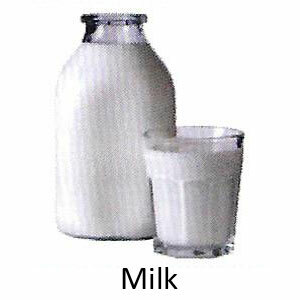 Milk – Enriched with calcium, milk helps teeth grow stronger and less prone to fracture or damage. 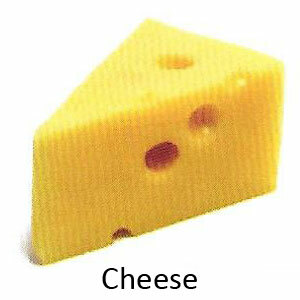 Cheese – Eating cheese helps to protect your teeth from cavities by preventing demineralisation. 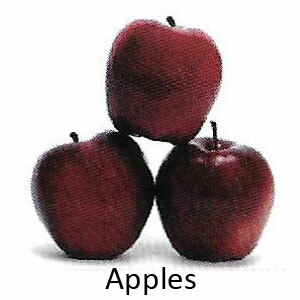 Apples – Contain lots of water and, this helps to regulate oral acidity so that bacteria won’t sustain on your teeth. 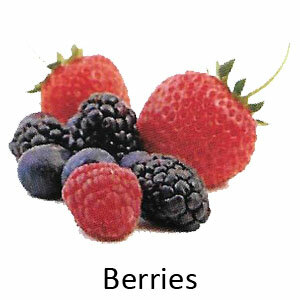 Berries – Contain lots of vitamin C which helps to control bacteria and is important for the health of gum tissue. 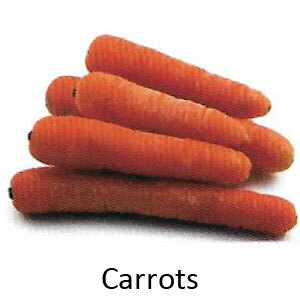 Carrots – Rich in vitamin A that strengthens the enamel, which is the outer covering of your teeth. 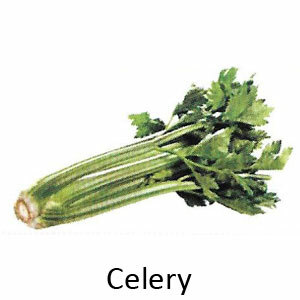 Celery – Eating celery requires extra chewing that helps massaging gums and cleans between teeth so to keep them healthy and clean. 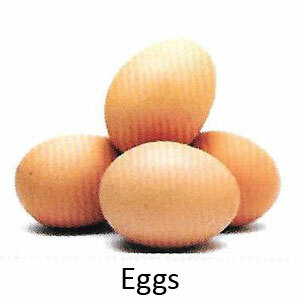 Eggs – Contain phosphorus and combining with calcium and vitamin D to create our bones system. These elements keep teeth stronger and healthier by protecting them from teeth decay. 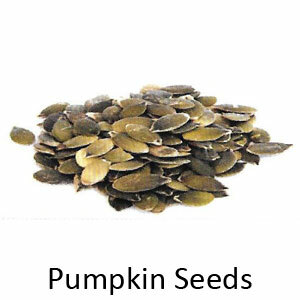 Pumpkin seeds – A very good source of beta-carotene, Omega 3, minerals like magnesium and manganese, zinc and copper. The oil in the seeds also helps to strengthen enamel on teeth. 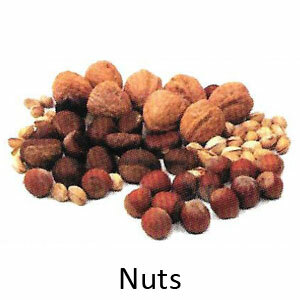 Nuts – Rich in calcium, magnesium and phosphate, which are important nutrients for dental health. Nuts good for teeth are cashews, peanuts, almonds and walnuts. 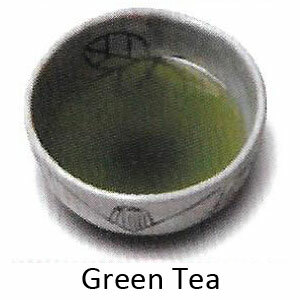 Green Tea – Contain fluoride which helps protect tooth enamel from decay and promotes healthy teeth. As you know by now, saliva helps to wash food particles from your mouth and lessen the damage from acid. Eating a snack during a meal, usually has less threat to teeth because of the additional saliva produced during the mealtime eating. But you should be wise enough to choose the snack, which doesn’t contain too much sugar. 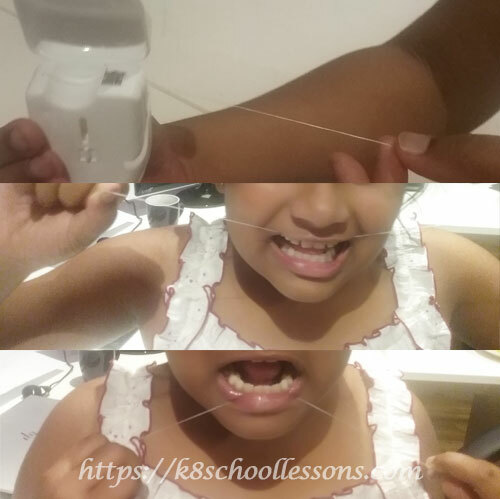 Hope you’ve learned a great deal about your teeth with this lesson ‘human tooth structure for kids’.